Congresswoman Eddie Bernice Johnson, one of a group of new Democratic leaders expected to take the reins of key environment and energy committees in the new Congress, at a House hearing May 17, 2018. Photo: NASA/Joel Kowsky. Click to enlarge. As Democrats take control of the House of Representatives in early January, those who chair key committees related to environment and energy will be influential leaders. And one thing is likely: Democrat control of the House will largely halt the long deregulatory slide — at least in Congress — that has marked the past two years. Any bill that requires approval by both houses of Congress will require the consent of Democrats. So here is a lightning tour through some of the committees that matter. Note that the chairs of all particular committees are still a matter of speculation, as they won’t get their gavels until the next Congress is seated, its leadership elected by the Democrat Caucus and the individual occupants of each slot confirmed by party leadership. Still, there is a lot we can say now. 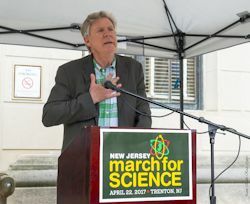 Rep. Frank Pallone at march in Trenton, N.J., April, 2017. Photo: Joan Eddis-Koch, Flickr Creative Commons. Click to enlarge. This panel has a large and sprawling jurisdiction that includes many subjects related to energy and environment (for instance, it wrote the Clean Air Act). It looks very much like Rep. Frank Pallone, D-N.J., is in line to chair the committee. In recent years, under both Republican and Democrat leadership, the panel has focused on fossil fuels and automobile industry interests. 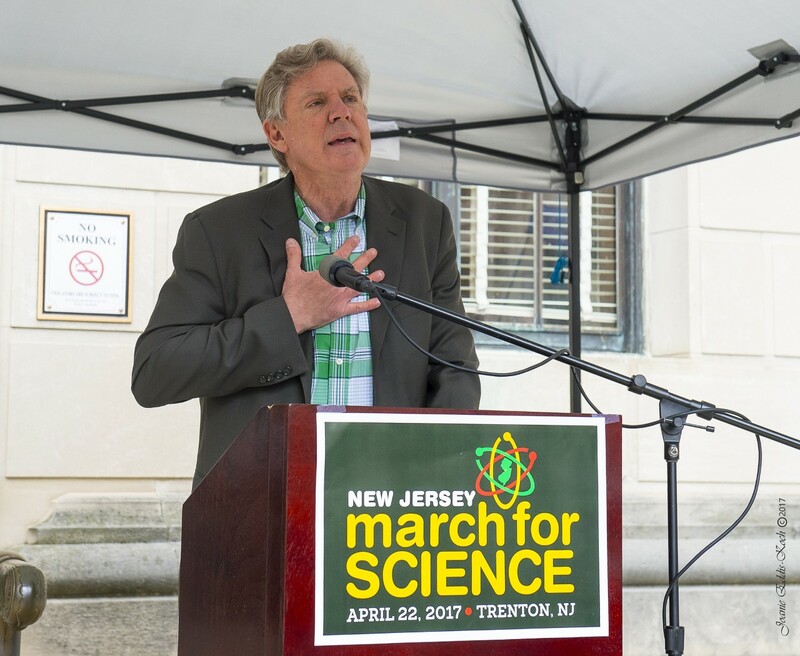 But under Pallone, it is more likely to focus on things like drinking water safety, environmental justice and climate change. House Energy has a legacy of how-it’s-done tough oversight — at least under previous Democrat chairs John Dingell of Michigan and Henry Waxman of California. That will surely continue under Pallone. Historically, this panel has been a legislative powerhouse, but its legislative reach may be limited by a GOP Senate and White House. So expect chisel-edged oversight on things like auto emissions standards, Trump administration rollback of methane rules, toxic chemicals, Trump’s coal/nuclear bailout and grid modernization. If, as expected, Dems revive a special committee on climate, the panel’s jurisdiction in this area could be diluted. 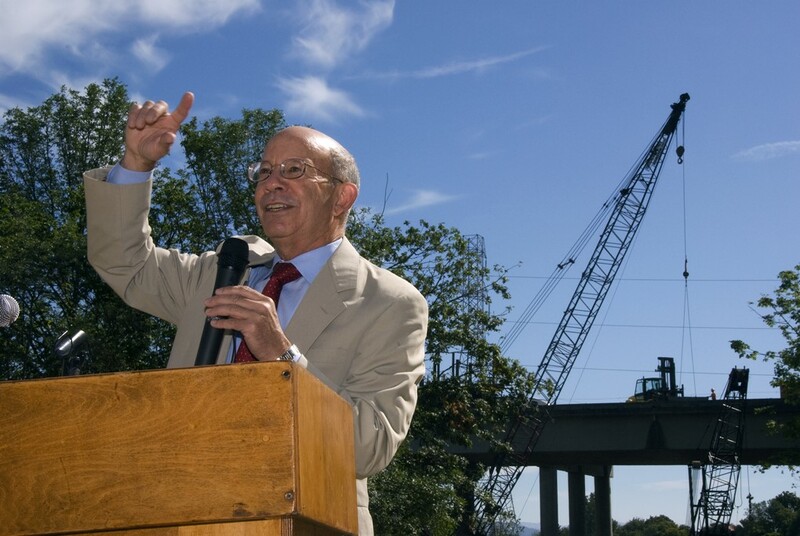 Rep. Peter DeFazio at the groundbreaking for the Willamette River Bridge project, Eugene, Ore., 2011. Photo: Oregon Dept. of Transportation. Click to enlarge. One word: infrastructure. In the past few years it has been both a mantra and a joke. 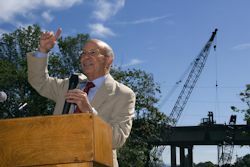 There is little doubt that Rep. Peter A. DeFazio, D-Ore., will be the new chair of the House Transportation and Infrastructure Committee. And he likes infrastructure. In fact, leaders of this panel from both parties over the decades have had the same view, since infrastructure is what the panel is all about. Pork is bipartisan, no matter what politicians say. The big highway and water-project bills that this panel has traditionally crafted exemplify the successful model of distributive politics: almost every member gets something, and almost every member — therefore — votes for it. Believing the promises, many people began the Trump administration thinking a mega infrastructure bill could magically bring Dems and GOPers together. Nope. The Trump administration never proposed any real way to pay for it. Meanwhile, the committee plodded on and passed (successfully) more modest water project authorization bills on the traditional model. As he contemplates the new gavel, DeFazio says he would work on a bigger (say, $500 billion) infrastructure bill, but only if the White House would deal seriously. The problem is paying for it, and the United States is already running a huge deficit. 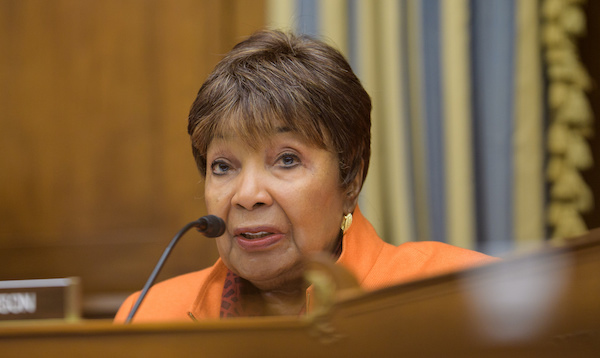 Rep. Eddie Bernice Johnson, D-Texas, is almost certain to become chair of House Science. Currently ranking minority member, she wants the job, is in line via seniority and has no competition. Johnson has declared her intention to reverse the anti-science agenda of the current chair, retiring Rep. Lamar Smith, R-Texas, who has made a name for himself as aggressively hostile to climate science. Johnson has opposed him as ranking member. She would be not only the first woman and African-American to chair the panel, but the first with STEM background (originally a registered nurse) since engineer George Brown Jr. in the early 1990s. You can probably expect Johnson to launch hard-hitting oversight hearings on Trump administration climate science, U.S. Environmental Protection Agency science policy and the intrusion of ideology into science. 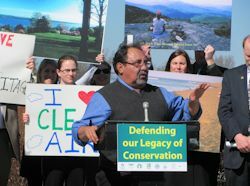 Rep. Raúl Grijalva at an environmental rally in Washington, D.C., March 2011. Photo: NWFblogs, Flickr Creative Commons. Click to enlarge. Arizona Democrat Raúl Grijalva is a cinch to chair the House Natural Resources Committee, since he is now the ranking minority member and wants the job. No other Dems are contending for the slot. Grijalva is a known quantity, thanks to his record as ranking minority member. This panel’s biggest jurisdiction is over the Interior Department (that also includes national forests and marine matters). Under Grijalva, you can expect critical oversight of Interior. The only real question is whether Interior Secretary Ryan Zinke will quit before Grijalva asks him to testify on the many ethics issues he is embroiled in. One estimate puts the number of investigations at 15. Under outgoing chair Rob Bishop, R-Utah, the panel has jousted with Interior’s acting Inspector General Mary Kendall, who has survived their onslaughts. The many investigations and scandals give Grijalva a lot to work with — and now he can probe whether Zinke tried to fire Kendall as well. 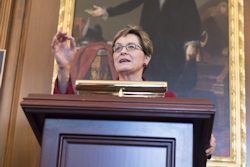 Rep. Marcy Kaptur at a March, 2018 event marking her tenure as the longest serving woman in House history. Photo: Marcy Kaptur/Flickr Creative Commons. Click to enlarge. Rep. Betty McCollum of Minnesota, currently ranking member of this panel that controls purse-strings for both EPA and the Interior Department, is expected to take the gavel. She has restrained Trump budget cuts and opposes administration policies on science, parks and Interior reorganization. Chairmanship of this key subcommittee could pass to Marcy Kaptur, the current ranking member from Ohio. She led efforts to restore monies the Trump budget would have cut from this infrastructure-laden appropriation. 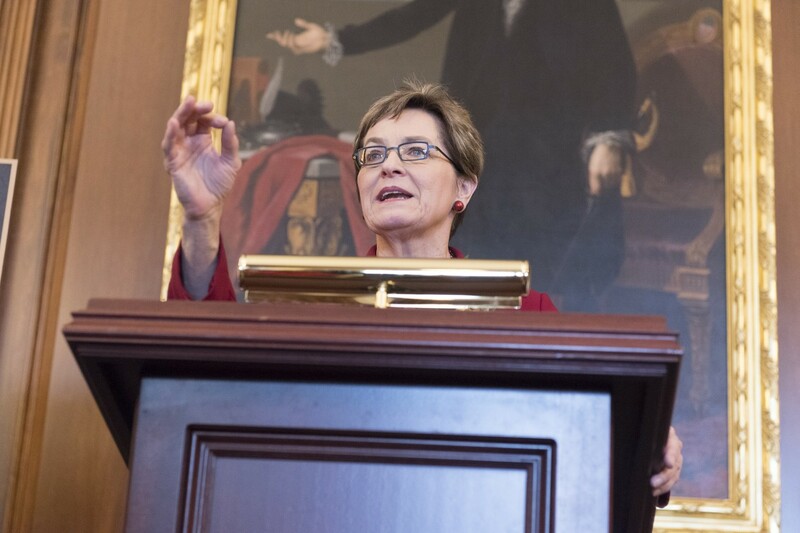 Kaptur, the longest-serving Congresswoman, is expected to take over the gavel of this powerful, plum-bearing panel. * From the weekly news magazine SEJournal Online, Vol. 3, No. 41. Content from each new issue of SEJournal Online is available to the public via the SEJournal Online main page. Subscribe to the e-newsletter here. And see past issues of the SEJournal archived here.